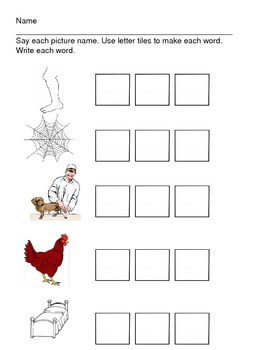 This is a simple phonics center activity I've created to be completed with letter tiles. Students use letter tiles to build the words, then write the letters inside each square. I use these in a word work center each week. I have many more that focus on short vowel sounds, blends, double consonants, and long vowel sounds.